Normally when you start your Fall season you also will start some damp and cold along with the beautiful colorful leaves. Minus the snow, ice, sleet and freezing cold, Roatan also has ‘winter’. Of course the ‘bitter cold’ here is more of lows in the 70’s F for temps. Here it may be the start of ‘winter’ weather that locals call the ‘rainy season’. That said it does not rain everyday here, just like it does not rain, or further on in the year, snow there. Can it get wet? Certainly. Last year was a record breaking ‘rainy season’ whereas the four months of October, November, December and January generated over 90” of rain whereas the norm for those four months is about 50”. It is a gorgeous sunny day today on the island a very nice outdoor ‘beach, dive, fish, golf, snorkel day. Personally, living here I enjoy much of this time of year. Weather cools as does the water and the breezes. Tourism & traffic from cruise ships is minimal and quiet and tranquil is abundant. The closer we get to the first of the year the more of the ‘rainy season’ you may experience if you are visiting. Normally that is not all day, every day, it is more like a part of a day, though just like your winter there it may build in intensity as you close in on January. Above I mentioned that the average rainfall for the ‘rainy season’ last year was almost double the average of many years. In that every action has a reaction, what it created was it was so wet that it generated a lot of needed road repair and for months it was all but impossible to actually do. Well it dried out last Spring and they have been paving ever since. The travel to West Bay, Palmetto Bay and other places has greatly improved with parts of it now patched but also some very nice concrete roads built. Right now the main road starting at just east of Parrot Tree heading west is really in high gear with very nice concrete roads. A very real plus for all that live or visit here. A drive pretty much anywhere on the island and you will find building going on, both residential or commercial. New stores, new homes, newer developments and some really positive opportunities. Especially holds true in the category of vacant land for sale for homesites. Each of the planned communities here have some exceptional deals whether you are planning on building, planning a build in the future or some nice investment options. The ability to buy with an IRA anywhere in the world is a plus for those who have cash there if they choose this option. We have Agents with RE/MAX that have designations as REALTORs, (yes the same International REALTORs you have there organizationally), that can help walk you through that process. 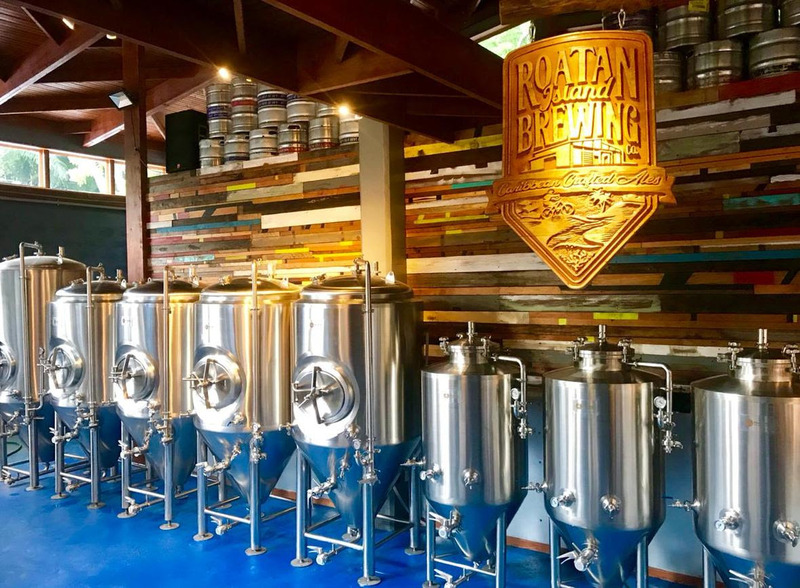 “Roatan Island Brewing” are one of the commercial ventures that are not yet quite ready to visit but will be in the next month or so. This new micro brewery located in the Palmetto Bay area will be opening it’s doors soon and should be on your “Things to Do” list if you live here or are visiting. 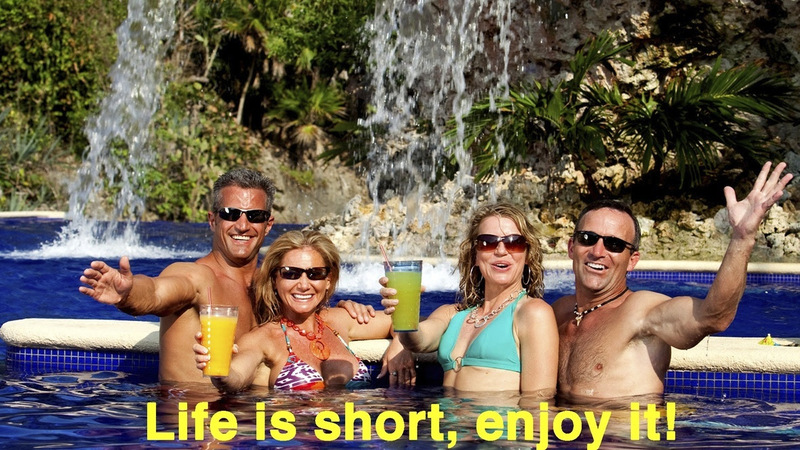 Travel here is not like travel in the States or Canada in regard to frequency. The planes of course are and is available with American, Delta, United and Cayman Air for the easiest way to arrive. If you search each with the day you are flying have some optional days, though most flights are on weekends. United flies with the most frequency, normally five days a week. American flies out of Miami and Dallas, Delta hub for direct flights from here from Atlanta, Cayman Air, (normally less dollars than American also flies out of Miami. United flies to Houston directly here. Some from the west coast have found a larger airlines, Avianca out of LAX has a ‘red eye’ on Fridays I believe it is with a short layover in the country of San Salvador that then comes directly to Roatan. 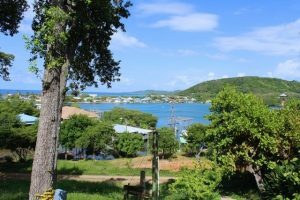 Roatan for air travel is ‘RTB’. Southwest and others have had us on their radar screens for sometime now but to the best of my knowledge there are no commitments. Lost Isles – Residential area – Great views and breezes. If you are a ’newbie’ please visit these links to answer most questions that you may have. That’s it for this month folks. Thanks for reading and feel free to hit reply for any questions or concerns.